Over time, our skin begins to show our age. After years of laughing, crying, squinting, worrying and smiling, wrinkles start to form around our eyes, lips and forehead. Despite what those beauty magazines say, nothing prevents wrinkles and there's little to do in order to slow the process down. However, physicians have been using Botox® Cosmetic and Dysport® as a treatment to correct visible signs of stress and aging. ReJuvenere Medical Spa offers the highest quality Botox® services in the Buffalo area. If you are interested in facial rejuvenation, we provide medically proven, safe and effective Botox® and Dysport® treatment. This noninvasive procedure has a fast recovery time and leaves your skin looking young and fresh. We are dedicated to your safety; by only using methods the correct way, we guarantee a successful treatment. We have been recognized as one of the best practices for these treatments by Allergan and Galderma pharmaceuticals. As the procedure requires no surgery, the treatment is relatively pain free and you will be able to leave our facility the same day without any risk of danger. The process involves an injection of volume-adding filler below your skin. 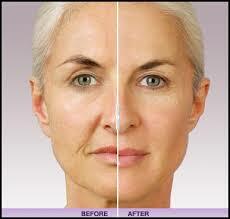 By adding volume to your face, laugh lines, crow's feet, and other wrinkles and creases are smoothed away. Our approach to Botox® treatment is conservative and our goal is for a natural, more youthful appearance. We have achieved gold status with Allergan, the makers of Botox® Cosmetic, in recognition for the outstanding number of patients we have successfully treated in Lockport and the surrounding areas. For more information about our Botox® treatment services contact us here or call us today to setup a free consultation.